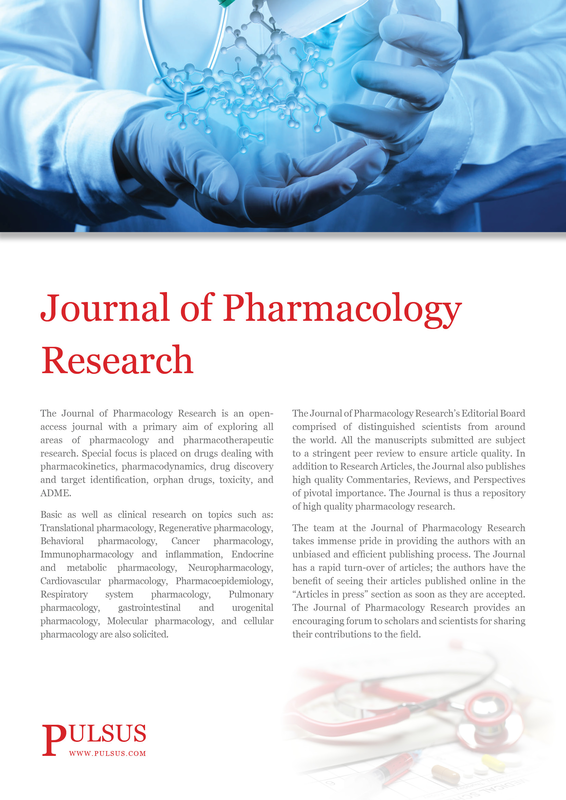 Journal of Pharmacology Research is an open-access journal with a primary aim of exploring all areas of pharmacology and pharmacotherapeutic research. Special focus is placed on drugs dealing with pharmacokinetics, pharmacodynamics, drug discovery and target identification, orphan drugs, toxicity, and ADME. The Journal of Pharmacology Research’s Editorial Board comprised of distinguished scientists from around the world. All the manuscripts submitted are subject to a stringent peer review to ensure article quality. In addition to Research Articles, the Journal also publishes high quality Commentaries, Reviews, and Perspectives of pivotal importance. The Journal is thus a repository of high quality pharmacology research. This OPEN ACCESS peer review journal publishes original articles, reviews, commentaries, and Perspectives of pivotal importance targeted to pharmacology and pharmacotherapeutic researchers. The Journal is available both electronically and in print. The digital version is sent to more than 6,000 qualified researchers around the world. Each lead author of a published article receives a paper copy of the Journal in which his/her article was published (additional copies available for nominal fee). Can amoxicillin clavulanate be used for treating MRSA?